Super RPG Hall of Fame! We had a little poll on over rpg.net to add 3 more entries to the Hall of Fame. You can check it out here. "I got into DC Heroes with the first edition boxed set, which came out just prior to Crisis on Infinite Earths. My friends and I were already seasoned Marvel Super Heroes fans, but DC brought a sense of scale (geometric, even!) we had never seen in games before. 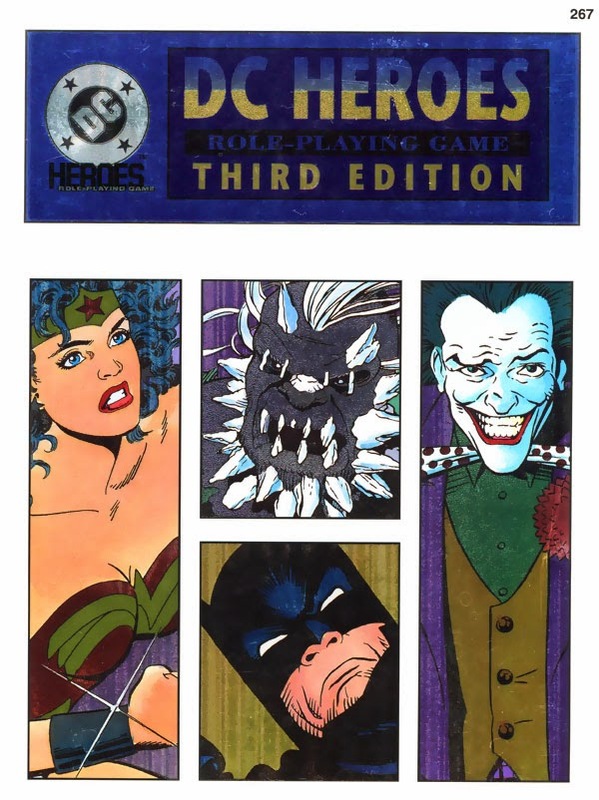 We more or less ignored the second edition because we'd moved on to other games, but when the 3rd edition softcover was released I picked it up and immediately set to converting every single MSH character from every single MSH game book to DC Heroes. That took an entire summer, but it probably launched my "career" as game designer and adapter of media in RPGs. I love this game!" way that just felt 'right'." 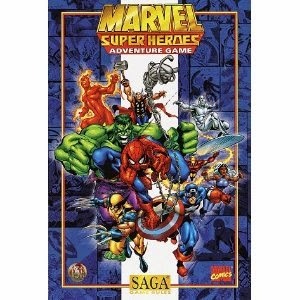 "Marvel SAGA. 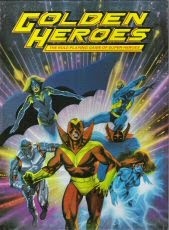 My personal favorite supers RPG of all time, this criminally underrated card-based RPG was cut down prematurely. 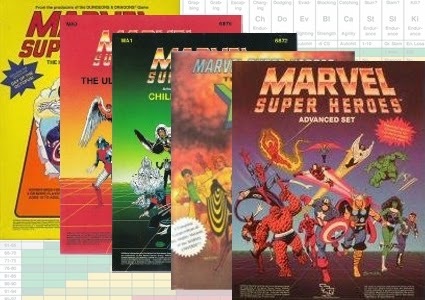 While it managed a core boxed set, three adventure books, three roster books, a rules supplement and a guide to the Marvel Earth, it still left many corners and alleys untouched. In my personal opinion, no game has ever captured the feel of four color supers like Marvel SAGA, and the core mechanic is my single favorite mechanic I have ever seen, outshining some of the flaws the game had. The fan community is almost dead, because the books are out of print and require the proprietary card deck to play the game, making a grassroots, old school revival nigh impossible." "Golden Heroes from Games Workshop is my hall of fame game. This classic game doesn't get a lot of the recognition that it deserves because its release was limited in the US. I was lucky enough to find a copy of this game in my then local comic shop, and played a lot of it during my college years. The more British approach to super-heroes was a good fit for the "darkening" of super-hero comics at the time, and its use of comic-flavored mechanics, like breaking actions and turns into panels and pages, really gave the game a comic book feel."